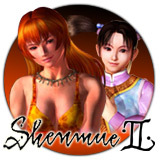 In October 2001, Sega released the first chapter of reportedly twelve in the Shenmue saga in America. A revolutionary game for the Dreamcast which sported the most amazing graphics, sound, and game play seen on the console. Shenmue 2 was originally slated for a December 2001 release date for the Dreamcast in America, which would consist of chapters two, three, and four in the saga, and many die hard Sega fans considered it to be the Segas swan song for the Dreamcast. In late summer, Sega announced that the American version of Shenmue 2 will not have English voice acting like the first one did due to Sega getting complaints over the voice acting in the first version. I thought the voice acting was far from perfect, but still pretty good overall and not as bad as Sega thought to be. Sega than pretty much killed the few Dreamcast loyalists it had left by announcing in September, the cancellation of Shenmue 2 for Dreamcast in America, and then enraged us further by announcing it for X-Box with English voice acting. Sega still released the Europe version of Shenmue 2 for Dreamcast, with English subtitles, so I was left with no choice, but to import the game through EB Games. Will all the effort to get this pay off? Lets get on to featured review #6 to find out. The Shenmue saga starts off in 1986 where Ryo Hazuki arrives home to find his father at the hands of Lan Di, a man who knows a rare form of Chinese Martial Arts. Lan Di is after a mirror that Ryos father owns, and he wont tell Lan Di where it is, so Lan Di duels with him and kills him. Now Ryo is off to avenge his fathers death by finding Lan Di. Shenmue 2 starts off with Ryo arriving in Hong Kong, China, in pursuit of Lan Di. Through this game, youll meet several new characters, like a woman who rides a motorcycle by the name of Joy, and little Wong who helps you out throughout your quest. When you look at the graphics of the newest games out there for the top platforms like PS2, X-Box, and Gamecube, youd think the Dreamcast wouldnt have a thin chance of producing top of the line graphics with its much less powerful processor. Well, you better think again after you take a look at Shenmue 2. Imagine the graphics of the first Shenmue, but with everything looking a hell of a lot better. The characters in the game are the most realistic ones youve seen in any other game. All the characters have a lot more detail to the point of where you can make out the tiniest spots on them like tattoos, earrings, and pants pockets. Yes, the eyes squint and lips move, along with dozens of other animations, as you converse with the various characters in the game. The environments in the game look very true to life as well. All the buildings, bridges, parks, and so on look nearly identical to the way you see them in real life. The menus and sub screens used in this game look great and are easy to navigate through. The only bad point about the visuals in the game is often when you are running through the city and if more than three or four characters fill up the screen at once, you will experience very noticeable slowdown. You have to understand though, the slowdown is there because of all the stuff the game is trying to run at once, and after a while, it wont bother you as much as youd think. The audio in the game is just another department to gaze at. I enjoyed the English voice acting from the original, and even though the voice acting is only in Japanese for this installment, it was how the game was meant to be in the first place, and after a couple of hours of playing, you wont be missing the English voice acting at all. The game has plenty of Chinese style background music in the game, and even though the tunes arent as catchy as the Japanese ones in the first game, they still sound good to me. The sound effects for the game like kicks, punches, and foot steps are all right on the button and sound the way they should. FREE is what Sega classifies the genre of this game as. The main game engine consists of where you walk around in a full 3D environment with 3D controls. The buttons are now laid out on the main game screen with an icon over them, indicating what specific kind of action you can do in the game like start a conversation, go to the system menu, buy a certain item, and so on. The game plays out a lot like the first one. You gather clues for where to go next by talking to people, and you jot down all the happenings and details in your notebook for future reference. For your source of income, you have many options available to you. You can find a part time job lifting cargo at a dock, or run one of the many gambling stands across the streets of Hong Kong. You can also participate in gambling events like arm wrestling, variations of craps, darts, and the gambling stands as well. And finally, you can visit one of several pawnshops in the game and sell the little toys you gathered from the first version of Shenmue (that is, if you continued off a completed saved game file from the first Shenmue). These are the two main types of engines that are used to run events and battles in the game. Free Battle is where it is Ryo against one or multiple opponents. Ryo has his own lifebar, which slowly regains life if he takes no damage for a certain amount of time. The actual free battle engine is a lot like the Virtua Fighter engine where you can do various moves by pressing certain button commands. These kind of battles are fun to do, but dont happen as frequent as youd think they will. Quick Time Event (QTE) are situations that can happen when you are prepared for them, or at random like during a cut scene and catch you off guard. In QTEs a various button will be displayed for an allotted amount of time, and you need to press it right away in order to do a certain action like jumping over a pile of crates, or to block a certain move attempted at you. You also use them to complete certain mini games like arm wrestling and the various QTE games in the arcade. A new type of QTE in Shenmue 2 is Command QTE, where you have to press a certain sequence of buttons shown to you in a certain amount of time to perform complex events. These happen a lot less often than regular QTEs, but theyll almost always catch you off guard. There are plenty of extra games and goodies at your hands to do then just only playing the standard game. There are a couple of arcades in the game, and just like the arcade found in the first Shenmue, they have emulated, classic, Sega games. The last game featured Hang-On, and Space Harrier. Those two return in this game, but also joining the fray is Outrun and Afterburner 2. Emulated Sega video games arent just the only games in the arcade. There are also standard and video darts, and a boxing type QTE game. Also found in arcades are slot houses, which are pretty much casinos where you match three slots to win tokens which you exchange for prizes. Any mini games you run into and try during game play will automatically be stored and saved to be played any time by popping in disc four and going into the game collection option. Also on disc four is a Digest Movie of the first Shenmue which crams all the movies and events from the first Shenmue into a 15 minute movie, and yes, it is in English. Just like the first game, there are plenty of side quests to increase the amount of time you spend playing this game. Graphics: The best ever featured on the Dreamcast. All the characters and environments look as real as it gets. Only complaint is the slowdown when the screen gets crowded with characters. Sound: I prefer the Japanese style music more than the Chinese ones featured here, but it still gets the job done. Youll adapt to the Japanese voice acting in no time. Game play: The button commands appear on screen a lot like the way they do in the Zelda games on Nintendo 64. Free Battle and QTEs are easy to control and fun to play through. Replay Value: Lots of mini games and side quests give this game double the play time than the first. Making all the games available to you and a big movie of the first game on disc four isnt a bad idea either. Shenmue 2 is just as good as the original. And just like my review for the first game I have to go all out and say how this is one of the best action/adventure games of all time. If you liked the first game, by all means necessary, find a way to get this game. If you still own a Dreamcast, then I strongly suggest finding a place to import this game. Youd be much more happy spending only about $60 for an import copy than $300 for an X-Box and another $50 for a copy of Shenmue 2 just to play the American version. And if you already own an X-Box, then just ignore that last remark.